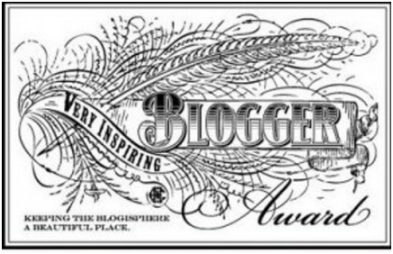 The Very Inspiring blogger Award ..Yeyy i love awards :))))!! Yeyyyy I am just way too excited right now and i feel blessed and honored once again to see my nomination for “The Very Inspiring Blogger Award” . Who don’t love awards,I doooooo. I am totally flattered and loving the fact that i am being nominated by the talented Novelist Michael Fedison, A well-known author of the Eye-Dancers . Thank you so very much Michael ,What a true honor of being nominated for this award by you :). I can’t believe it as i started blogging a year back when I knew nothing about it and tried improving my blogging skills every time I blogged but I am totally loving it . 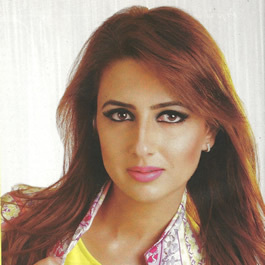 And now i am connected with so many talented bloggers from more than 100 countries which makes me feel that world is not too big to be covered . I love all my fellow blogger’s and just love interacting with them. As year 2012 is ending , I feel grateful for all the love that i have been getting from you all and million thanks to Michael, A talented writer . If you haven’t visited Michal’s blog ,Pls do . It’s an honor to be connected with him. http://eyedancers.wordpress.com/ .Now it’s my turn and I would love to spread my love by sharing this beautiful tag and by nominating my fellow blogger’s. To thank and link the blogger that has nominated you. Then post the award logo to your blog. Write a post on the nomination and nominate 15 other very inspiring bloggers . Here are the 7 THINGS ABOUT ME ! I am a vegetarian from last 1 1/2 year now, though i always wanted to be vegetarian but for health reason’s my parents never let me quit it earlier. A big time animal lover and a member of Animal rescue. I love them so much and it makes me go completely mad when i see someone ill treating them. I love dogs. I am a bit of perfectionist, when i do something i put more than 100% into it especially when it come’s to my work and my passion but at the same time i am always very patient and calm. I have been a sports freak in my school. A state level basketball player .Whenever i get a chance to play basketball, i don’t miss it. I will add 8th one here,2012 has been a great year and 2013 has kept so much for me, I just cant wait to for all the amazing things to happen..yey i am a very positive person and you will always see me smiling and excited . Alritee now its my time to nominate 15 inspiring bloggers. This is going to be very difficult task as all the blogger’s i know are amazing in their own way..So here are my nomination’s in random order. Happy Holiday‘s everyone and thank’s all for reading as always..Much luv ♥♥!! My pleasure Dana, Congratulation dear! Woohoo! Congrats again. How wonderful. Am going to check out your recommendations right now. Wow and heartiest congratulations on a very well deserved award Reshu. I am so delighted it is an award for being “Very Inspiring” a theme I cherish. So good wishes to you for more fun and more achievements. Congratulations! I know that you will continue to experience wonderful success. I am celebrating….